Trust only the experts in asbestos removal and disposal. 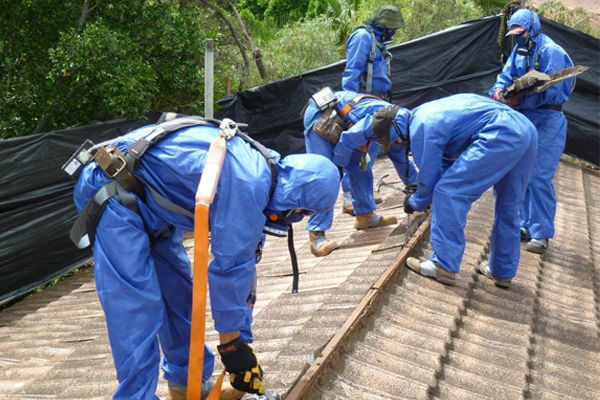 For over 25 years, Australia Wide Asbestos Removal Encapsulation (AWARE) remains the industry leader in terms of offering safe and efficient asbestos removal services. We are a dependable company that helps reduce significant health risks in residential, commercial and industrial buildings in Victoria, Melbourne, Geelong and the rest of Australia through professional asbestos removal. As one of the pioneers in the industry, AWARE offers “A Class” asbestos removal services to completely ensure that the task will be professionally executed, while keeping safety and client convenience in mind. AWARE is a licensed Class A Asbestos Removal contractor, specialising in various areas of asbestos management. Our employees are experienced and highly trained in asbestos management. We evaluate what is necessary for the complete removal and safe disposal of hazardous materials, such as asbestos. We monitor the air for airborne particles throughout the asbestos removal process. We are self-supporting with respect to the equipment needed for all phases of asbestos management. Our vehicles are approved by the EPA for asbestos hauling and disposal. When it comes to residential and commercial asbestos removal services in Melbourne and Geelong, Victoria and the rest of Australia, no job is too large or too small for us. AWARE’s projects include residential homes and commercial building including the Royal Children’s Hospital, the Channel 9 Building, and the Channel 7 Building. Ensure the protection of your family and workers from asbestos risks. Contact us today to know more about our services.